Koley Jessen is pleased to announce that for the second year in a row, our Private Wealth Law practice has been ranked Band 1 by Chambers High Net Worth. This recognition by Chambers is determined by interviews with those active in the market, mainly clients, competitors, and other professional advisors with whom the firms work, as well as an assessment of recent work done. This year, only 4 law firms and 7 attorneys in Nebraska were ranked by Chambers. Our private client team won praise for their dynamic approach and overall client experience. An interviewee said: “They're smart, they're responsive, they're engaging and they're progressive in the way that they think; they are always trying to be at the front edge of the curve." Another commented: “the Koley Jessen experience is a relationship, not a transaction; as things evolve and change, they stay updated." In addition to being ranked as a firm, three individual attorneys, Kurt Tjaden, Brandon Hamm, and Alex Wolf, were accredited as notable practitioners by the publication. 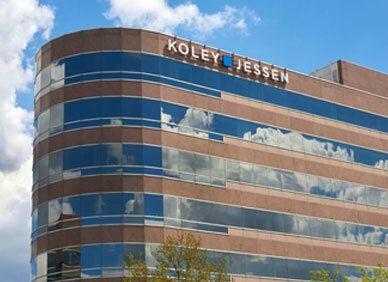 Koley Jessen is a strategically growing law firm serving the needs of business owners, executives and professionals around the country. Our Estate and Business Succession Planning team helps clients articulate objectives and design comprehensive solutions tailored to transition their estates and businesses to successive generations in a thoughtful and tax-efficient manner.